[Augusta, GA] The Greater Augusta Arts Council announced today that the Nomination Forms are now open for the 2018 Annual Arts Awards, which celebrate individuals and organizations that advance the arts in Augusta. 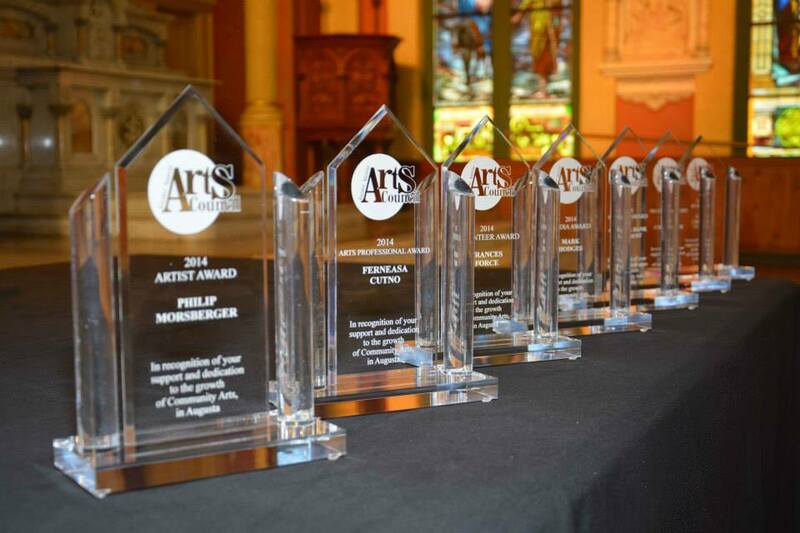 The Arts Awards were established to recognize outstanding talent, exceptional initiative and leadership within Augusta’s vibrant arts community. In addition to the 6 awards currently distributed, the Arts Council is pleased to announce the addition of a new award: The Kath Girdler Engler Public Art Award. Named after the late Kath Girdler Engler, an accomplished local sculptor whose work appears across the CSRA, this award acknowledges the power of public art to benefit Augusta economically, socially, and aesthetically. It will recognize those who are most committed to this important element of our community. Community members are encouraged to submit names of individuals, corporations, and sponsors who have supported the arts and made a difference in the Augusta River Region through their work to 6 the categories. A committee of arts and business leaders, as well as former winners, will select honorees from among the nominees in each category. The awards and more details about suitable nominees are listed below. The Annual Meeting and Arts Awards Dinner hosted by the Greater Augusta Arts Council will take place Thursday, June 21, 6-8pm. Tickets and location information available in May. The Deadline to submit nominations for the 2018 Annual Arts Awards is 5pm on May 10. More information, past winners, and the nomination form for the 2018 Annual Arts Awards can be found at the link below.